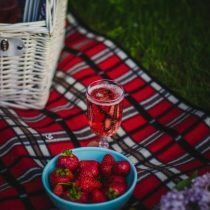 The warm summer weather brings with it the picnic season and the chance to eat outdoors in some picturesque locations. Windmill Lodges offer high-quality holiday lodges in the heart of East Anglia with plenty of picnic sites within easy reach. Here are our top six Suffolk destinations you can enjoy over the summer. Around 15 miles south of Windmill Lodges is Rendlesham Forest which has 1,500 acres of mixed woodland and is and is sure to delight the nature enthusiast. The forest is home to two important local bird species, the nightjar and the woodlark. Rendlesham Forest’s main tree species is pine, particularly of the Corsican and Scots varieties, but there is also an increasing number of broadleaved types, such as oak, birch and beech which were planted after the Great Storm of 1987, which devastated large parts of the forest. There is a special picnic area with concrete bases where you can have your own barbecue if you complete a permit form, which are available from the information hut. If you have a family, there is plenty at Rendlesham Forest to amuse children, including a designated play area, bike hire to get around – you could even follow the signs and take a walk deep into the forest to see the site where a UFO allegedly landed in December 1980. If you are prepared to venture a little bit further south than Rendlesham then a visit to Bawdsey Quay is well worth while. The quay lies at the mouth of the River Deben, with Felixstowe Ferry on the other side of the estuary. Children will enjoy the sandy stretch of the beach where they can paddle, swim, make sandcastles or dig holes. There is also a dedicated picnic site here as well. If you want something educational to do in the area, the Radar Museum is a mile from the village of Bawdsey; the British Air Ministry developed their air raid warning system at the village manor, just in time for World War II. Dunwich is about 15 miles due east of Windmill Lodges and is likely to be less crowded than the equally popular nearby resorts of Southwold and Aldeburgh. Previously, Dunwich was the capital of the Kingdom of the East Angles, only for coastal erosion in the 13th century to wash much of it away, but there is still plenty to see and do, including the popular picnic area by the heath barn. The beach at Dunwich is a great place to walk the dog or enjoy a family picnic and there is a huge variety of local wildlife to see and enjoy; RSPB Minsmere is less than two miles away and offers wonderful walks, views and lookout points from which to spot the many variety of birds. If you would rather go inland rather than to the coast, then the Thornham Estate has plenty to offer. The estate is set in 2,000 acres of beautiful parkland, woodland and farmland, and is about 12 miles west of Windmill Lodges. The attractions at Thornham include fishing lakes and some spectacular walks. There is a café and restaurant there, as well as a dedicated picnic site with some play equipment nearby to keep the children entertained. A little over 30 miles to the west of Windmill Lodges is the historic market town of Bury St Edmunds, which you can drive to in about 50 minutes. 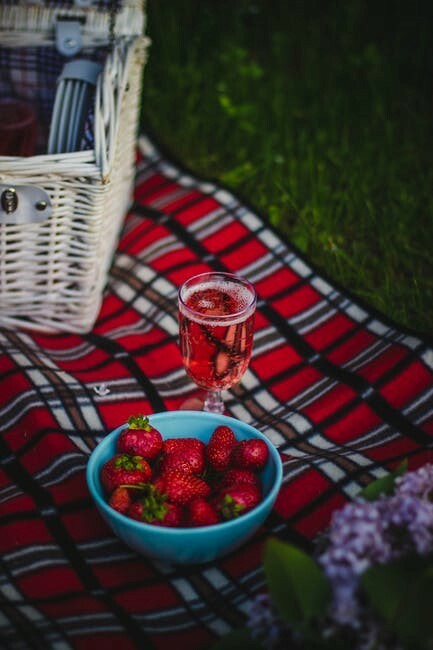 Once you are there, you can enjoy a picnic in the heart of the town, not far from the shops. You can eat with either the herb, rose, water or sensory gardens in the background. The remains of an 11th century Benedictine monastery also lie within the grounds of the Abbey, which are also set against the backdrop of Suffolk’s only cathedral. Sports enthusiasts can enjoy either a game of tennis, crazy golf or bowls, but may need to book the relevant facilities first. There is also a small aviary with a variety of birds to see free of charge. This beautiful, historic castle really is on our doorstep – less than three miles away from Windmill Lodges. You can enjoy a picnic in the grounds of the castle, and there are also benches outside the workhouse if you prefer. You can enjoy your meal while marvelling at the impressive 12th century castle walls; for many years it was owned by the Earls and Dukes of Norfolk. Events held within the castle grounds include open-air plays, countless activities for children, as well as permanent facilities, including a shop and an exhibition telling the interesting history of the castle. At Windmill Lodges, all our authentic log cabins have been given four or five stars by Visit England. All have their own private hot tub as their centrepiece, and each of our lodges is also fully-furnished with leather sofas and en suite bathrooms. This makes them ideal for romantic breaks and family holidays. We also offer pet friendly log cabins too. All our cabins also come with fully-equipped kitchens, so you should have no trouble preparing a tempting picnic. We also offer hampers which you can pre-order. If you would like to know more about our holiday lodges in the heart of East Anglia, click here and fill in the online form.